Getting Back to Where I Once Belonged! Things have been pretty busy here - my husband will be retiring in a few months and we are trying to get ready to move back to Tucson, Arizona. I am a second-generation native of Tucson. My grandparents settled there in the 1930's, and my mother, her two sisters and 4 brothers did a pretty fair job of adding to the population throughout the years. Ten years ago, when Steve got a job at Los Alamos National Laboratory, we moved to New Mexico (it was only supposed to be a five year stint....at least that is all I agreed to, but, that is a story too long to tell). I have missed my home so much, but at this point I'm also thinking about how it is going to be upon my return. In the last ten years not only have both of my parents passed away, but most of my aunts and uncles and some of my friends are also gone. I think part of me will have a very hard time getting used to Tucson without those people in it, it seems like there is already large parts of my home town missing. I still do have many family members there though, and some I haven't met yet. I'm looking forward to getting re-acquainted with the ones I have missed and haven't seen much of - expect some dinner party invitations cousins! Looking forward to visiting and hugging the many friends I haven't seen over the years also, some have been friends for more than 40 years! Thankfully, I have been able to see my kids and GRANDkids "fairly often" though of course not nearly as much as I would have liked, and getting to hang out with them full-time will be the greatest joy of going home. I've missed "my" mountains, cactus wrens, saguaros, monsoons, and so much more. 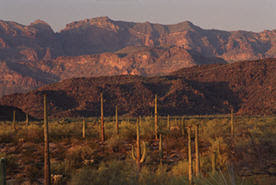 Tucson, my beautiful sunshiny desert---- I'll be home soon! Way back in the 90's, after having found and re-joined the Tucson Miniature Society, I started making miniature animals. I chose the animals of the southwest desert, and since we have hummingbirds year round in Tucson, I chose to try and replicate them in 1:12th scale. It was a challenge, but also a lot of fun! I also worked on creating other birds and animals familiar to my desert home. 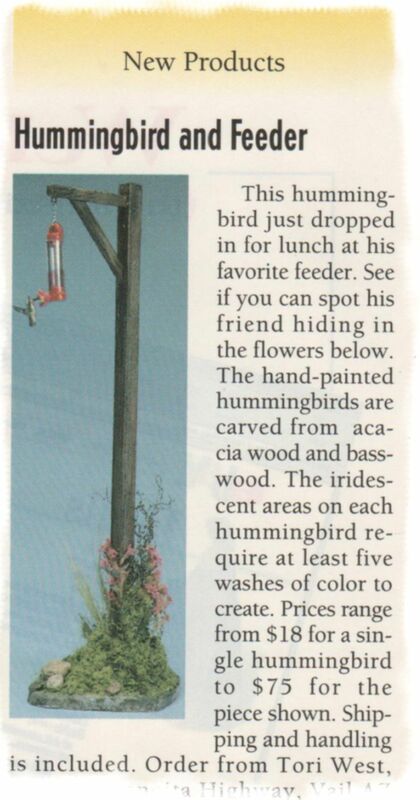 People began asking me to sell the birds, and soon I had orders coming in. After a year or so, I also had a dealer in New York representing my work. Her contacts requested all sorts of animals, so I branched out in to creating many other types of animals. I set a goal for myself; to become an Artisan and then Fellow member of the IGMA (International Guild of Miniature Artisans) in the category of animal figures, and achieved that goal in 2001. I really enjoyed the work, and put a lot of love in to each tiny creature I crafted, but also began to branch out into other areas of miniature making. 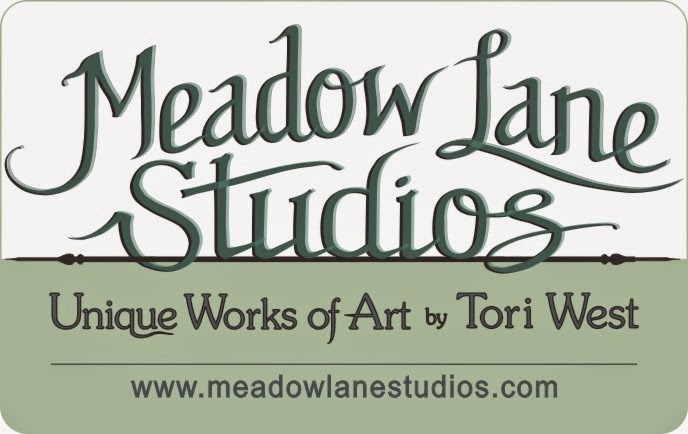 My husband and I began to create animated miniatures and I started working on expanding my skill set to include metal work, carving, etc. After a while, I stopped making little animals and went on to other mini creations. Last month, I got a special request from a customer who had seen my hummingbirds and was working on creating a special garden scene for her mom. Who could turn that down? I knew I still had a few finished birds and a few "blanks" (when I was producing more hummingbirds, I would carve the bodies in different sizes and leave them attached to the wood block for further work, since they weren't a specific species yet, I referred to them as blanks). I pulled out the box with the hummingbird making supplies in it and set to work. I actually ended up making 2 from scratch because one of the birds she wanted was a large one, and the other one wasn't carved in the position I wanted it to be. I enjoyed it so much, I wanted to make more! 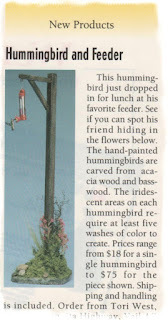 Alas, I don't have time.....but don't be surprised if the hummingbirds return some day! 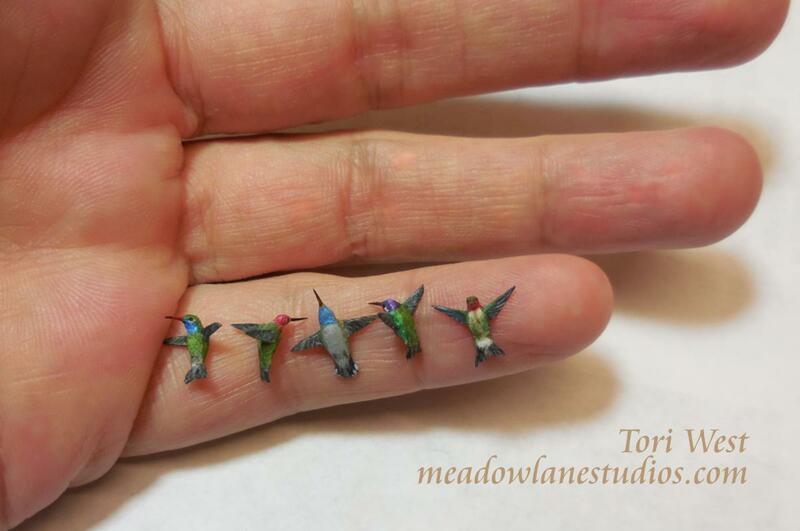 Here are her little birds, ready to be sent to their new home.